The player fires orange bullets. 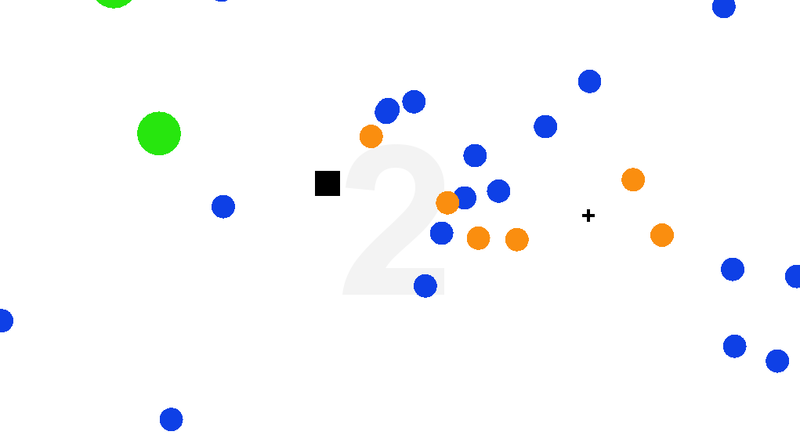 If a bullet hits an enemy, the bullet will turn blue and bounce off, allowing the player to collect it and increase their score. 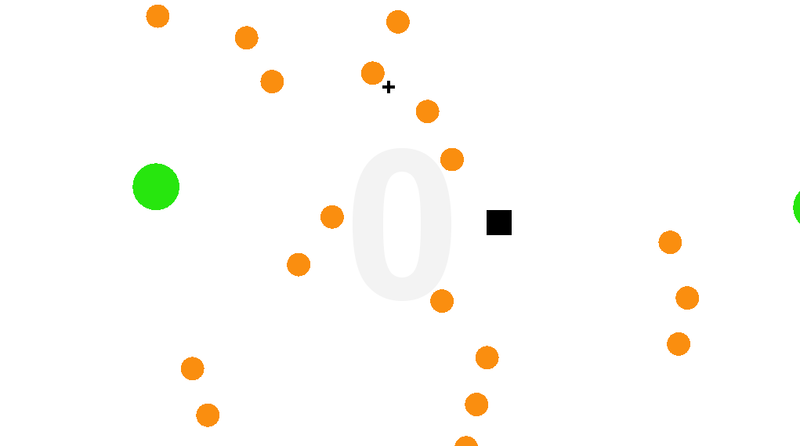 If the player misses, however, the orange bullet will wraparound to the other side of the screen, and the player will have to avoid it. Feels very fun and the idea is great. I think it's a little too fast and could use a scaling difficulty of some kind, where the projectiles start out slow but get faster as you gain score. The visuals are basic but they work alright for this kind of game, with a bit of color theory you could make it look better with just a color palette change. I love the music/SFX and the concept was great too!